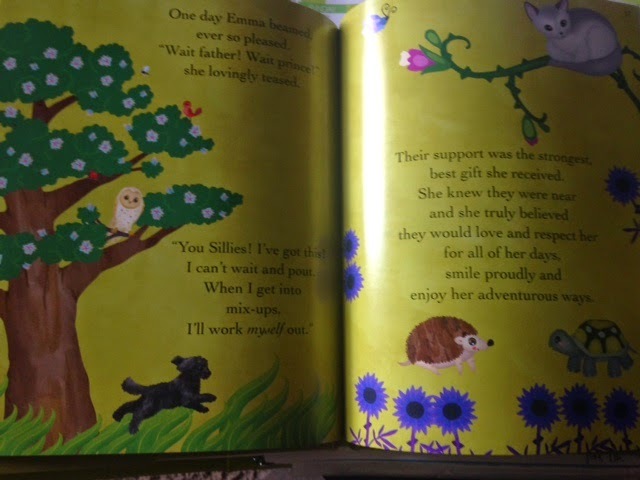 Does your daughter love fairy tales? Is your daughter full of imagination and wonder? Then Lady Emma is just the story for her. Based on ALICE IN WONDERLAND and THROUGH THE LOOKING GLASS, Harrison brings you an imaginative story for young girls to enjoy. You can follow along in the whole series of adventures with Lady Emma beginning with this book. Lady Emma is full of imagination but also gets herself into blunders. As she grows she finds her own personal strength and determination to get out of mishaps. We meet her as a young child and follow her all the way through to a young woman who finds her prince. My photos do not do the illustrations justice. 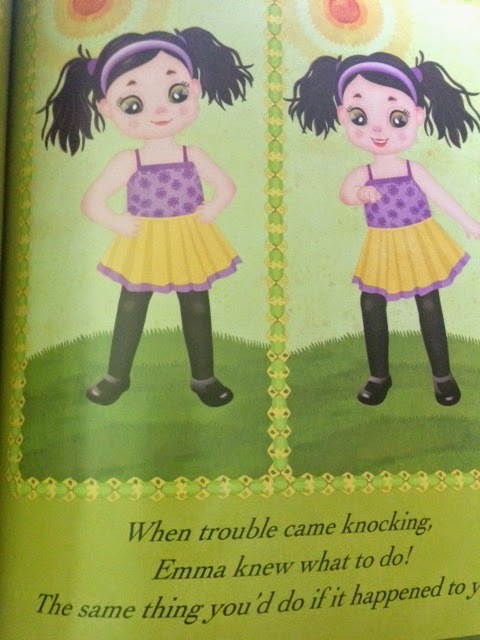 The pages are vibrant and full of detail. Every character just jumps off the page. Your child will want to look at the pictures as much as hear the story. 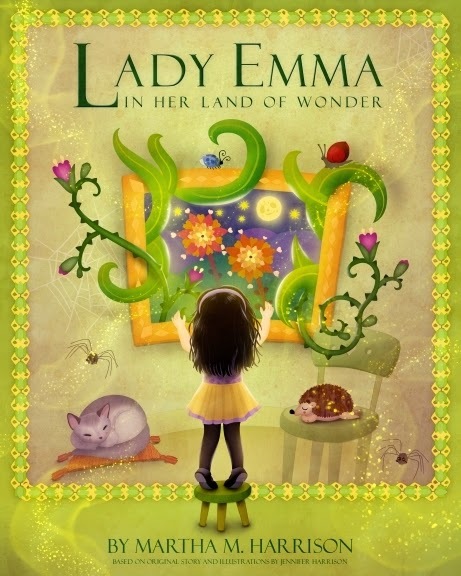 Lady Emma learns to be independent and she learns she can do anything she dreams. This book shares excellent qualities to reinforce with your children. I can’t wait to see what the rest of the series has to offer. It is really a delightful book. Dr. Martha M. Harrison’s previous books have all had an academic focus on language play, reading, children’s books, and the integration of the arts across the curriculum. She has trained over 2000 teachers in teaching reading and writing to children and young adults in grades K-12 and served as a designer of reading and writing curriculum and assessments for the State Departments of Education in Tennessee, Mississippi, Florida and California. For the past two decades, her passion for literacy has guided her teaching of children’s and young adult literature and her successful authoring and implementation of reading and writing curriculum in education. She is a member of the Association of Children’s Literature (AChL) and the International Reading Association (IRA). Her scholarly articles have been published in Florida English Journal, a scholarly journal of the National Council of Teachers of English (NCTE); The New Advocate, a scholarly journal For Those Involved with Young People and Their Literature; and the National Education Association Library Series (NEA). She has conducted numerous workshops on comparing the works of Maurice Sendak and Theodor S. Geisel, “Dr. Seuss”. She is currently teaching a course on Arts Integration Across the Curriculum at Notre Dame de Namur University in Belmont, California near San Francisco. Among her many scholarly publications is an early 1990 article entitled Teaching Thinking Skills to Gifted Children Using Children’s Literature and The Arts. For more on the author, click HERE. 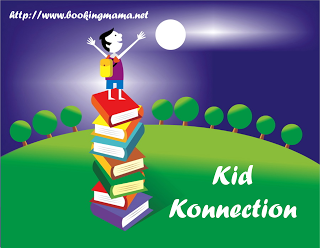 I will be linking up with other bloggers on Booking Mama’s Kid Konnection. Check it out HERE on Saturday for other great reviews of children’s books. I was provided a copy of this book for review. This book is my honest opinion. I was not compensated for this review. If you choose to purchase this book through the above link, I may receive a small commission without you having to pay a cent more for your purchase. Thanks for supporting SincerelyStacie.com reviews. Sounds like a great book and what a gorgeous cover!